It seems there is a bug on Google Chrome to display SVG graphics. 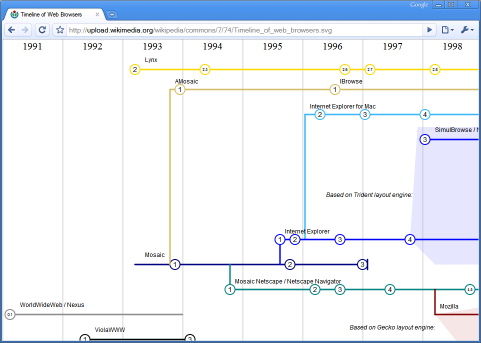 When I use it to display the "Timeline of web browsers" from Wikipedia, it does not show any scroll bar. Although you can use zoom-in/out, or drag the picture to display area out of the window, however it is not user-friendly. I have reported it to Google, and see whether it will be fix in future release or not.